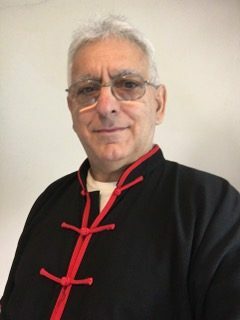 Paniko Evagorou is an established martial artist who has been actively teaching and coaching for over 40 years. He has extensive knowledge in both Chinese and Japanese martial arts. 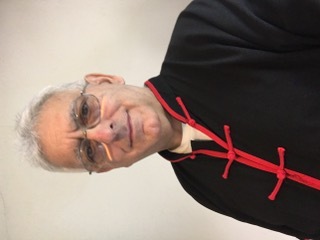 He set up Sanshou UK, in 2009 with his Son, Nicholas Evagorou, and is committed in the training and development his association has set up in order promote Sanda in the UK. He qualified as a EWuF Sanda Judge after passing an examination at the 8th European Wushu Championships in Rotterdam in 2000. Paniko was selected by the BCCMA to attend and represent Great Britain at the Beijing Wu Shu Tournament 2008 which ran parallel with the Beijing Olympic 2008 for GB representation. A pilot training workshop for qingda for juniors was introduced in September 2016. These have also proven to be beneficial in raising the standards of our young athletes. This will also include a new junior qingda competition format to encourage a more competitive and challenging event for our young members.